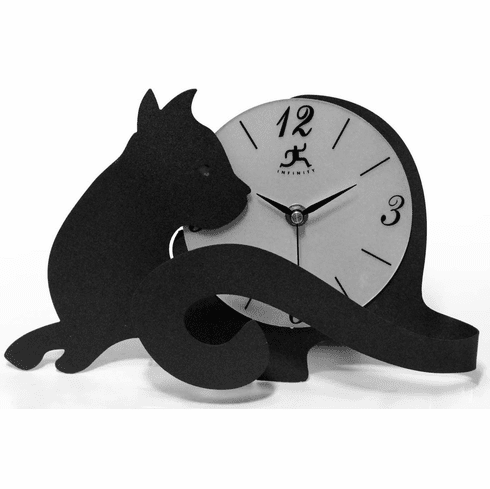 This metal black cat table clock features a pearl glass dial with black metal hands. Hand assembled. Quartz clock movements ensure reliability and trouble-free service. Uses 1 "AA" battery (not included), and comes with a 2 year warranty.